Founded in 1993, Steel Dynamics, Inc. is the fifth largest producer of steel in the United State. 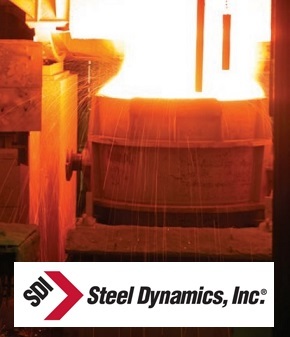 Based in Fort Wayne, Indiana, SDI employs over 6,600 employees in their five steel mills, two iron production facilities, six steel fabrication plants and over 70 metals procurement and recycling locations. In every application, SDI relies on computers to perform a wide array of tasks in a harsh, production-focused environment. Steel Dynamics approached Logic Supply to help them build industrial control and data collection systems that could stand up to the extreme conditions of their factory floors and do so while maintaining effective and efficient operation. Read on to find out how we were able to eliminate the frustration and expense of computer failures by implementing a fanless, solid state computer engineered to survive the rigors of the steel production industry.